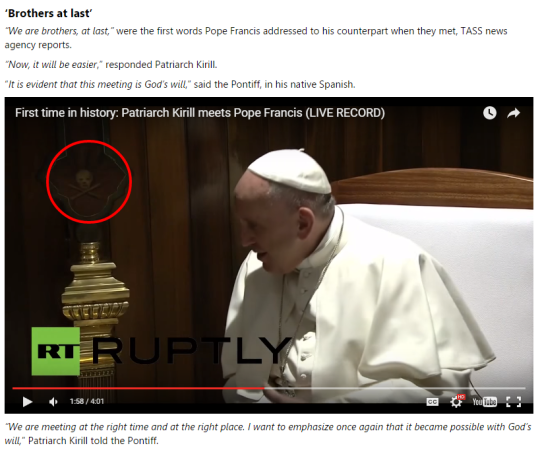 Joint Declaration of Pope Francis and Patriarch Kirill signed under Skull and Bones Logo?! According to RT a historic agreement was reached, but under whose watch and with what intent?! 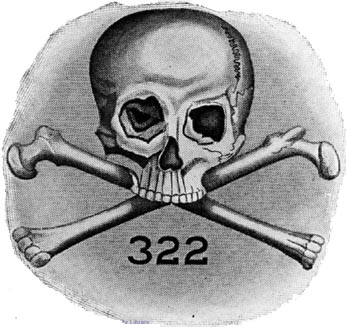 Why is the Masonic Skull and Bones (322) Organization featured prominently in the center of the two figures? 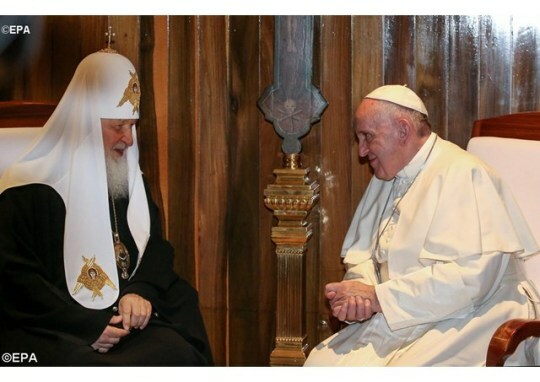 Has Patriarch Kirill made the worst mistake of his life and for his nation and congregation by signing a deal with the Jesuit Pope Francis? 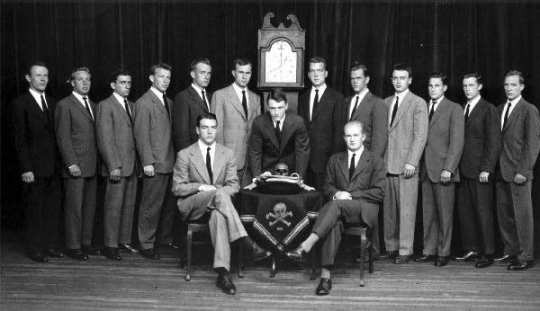 The evidence is there for all to see in open view. What will Jesus say when he returns and see such behaviour by his followers? !